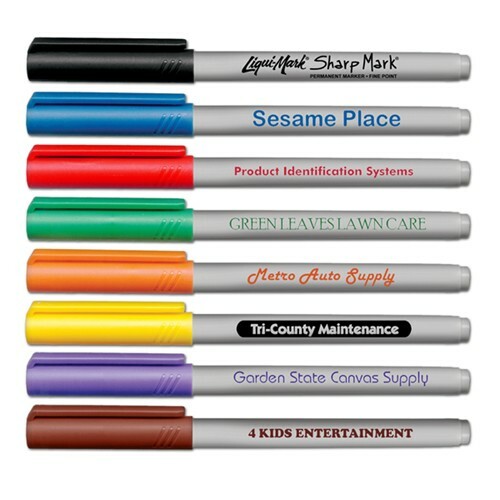 Permanent Ink Fine Tip Markers are color fast, quick drying and won't fade. The fine point nylon tips are ideal for marking things that are meant to last. They will permanently marke most surfaces in your office, home or school, also great for industrial use! Non-Toxic. Marker sets also available in vinyl pouch or heatsealed poly bag. Contact factory for details. Color Selection: Black, Red, Blue, Green, Yellow, Orange, Brown and Purple. Color of cap matches ink color. Gray barrel. Packaging: Bulk, 300 @ 7 Lbs.